JT Eaton's Nectus 2G Soft Bait is a second generation bait (single feed bait for a lethal dosage). Nectus is a soft bait containing 005% Bromadiolone. Made of oil scented compounds, this is moist, tasty and palatable rodent bait. It is especially suited for rodents which are reluctant to take other baits and for places where there is a source of competing food. It is even more palatable than food material found in food warehouses and stables. The moisture content in Nectus 2G Second Generation makes in an ideal bait for use indoors where water is not as available to rodents. Combine Takedown Soft Bait (4 lbs) and Detex Soft Bait with Lumitrack as a perfect solution when using soft baits. Takedown with bromethalin (fast acting, non-anticoagulant neurotoxin) works quickly against rodents with results seen in a couple of days. However, sometimes rodents are shy of the active ingredient, bromethalin. There is a procedure called "pre-baiting" that can help solve this characteristic drawback. The Detex Soft Bait is a non-toxic bait with Lumitrack (rodents' droppings glow under a UV light) that is a highly palatable bait. As a non-toxic bait, Detex is useful as a monitoring tool and a pre-bait option. TakeDown Soft Bait is a new soft bait for a fast acting solution when combating severe rodent infestations. TakeDown combines the palatability of a soft bait with bromethalin, (fast acting, non-anticoagulant neurotoxin). Results can be seen in as little at 2-3 days. As a non-anticoagulant, TakeDown attacks the nervous system of the rodent and does not cause internal bleeding. It is ideal for with anticoagulant-resistant rodent populations or as part of a resistance prevention program. Mice Combo Trap/ Bait Kits combine three types of professional traps, mouse lure attractant, and one type of disposable bait station (bait included) in one kit for a greater selection. At times trapping and or baiting mice require a variety of traps and baits for successful mice control. Not one method works all the time successfully, so a combination of types of traps and a rodent bait will ensure success. Place these traps and bait stations in areas where the mice have been observed. T1 Mouse is a pre-baited disposable mice bait station. Each station contains a one-ounce block of Bromethalin - a single feed rodenticide. This disposable tier 1 bait station has enough poison to kill 10-20 mice. The EPA classifies this station as T1, the highest level of tamper-resistance according to their standards. The station is tamper resistant to both children and pets. With a clear lid, you can monitor the bait to see if it is gone or how much has been eaten. Formus Blox with 0.0025% Brodifacoum is half the percentage of a rodenticide like Final Blox (0.50% brodifacoum). Even though it has half the concentrate levels, this single feed bait will kill rodents in as little time as 4-5 days after ingestion. Final in a soft bait form provides a fast acceptance by rodents. It is made of a food matrix of fats and proteins, and works very well with rodents who are use to eating fatting foods. Final Soft Bait, like it's cousin Final Blox is a single feed bait with Brodifacoum. Contrac Blox is a single feed bait rodent bait (Bromadilone) that is weather resistant. Contrac Blox is an excellent clean-out and maintenance bait to control mice and rats, including warfarin-resistant Norway rats. California has placed Contrac Blox in a restricted use category. We can not ship Contrac to California without a pest control license. 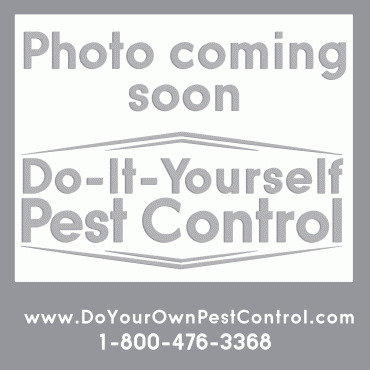 If you are a pest control operator or a certified applicator in California, please call us with your license number. Other single feed baits (non anticoagulants), such as Gladiator, Top Gun, Fastrac, and Terad3 are available in all states.